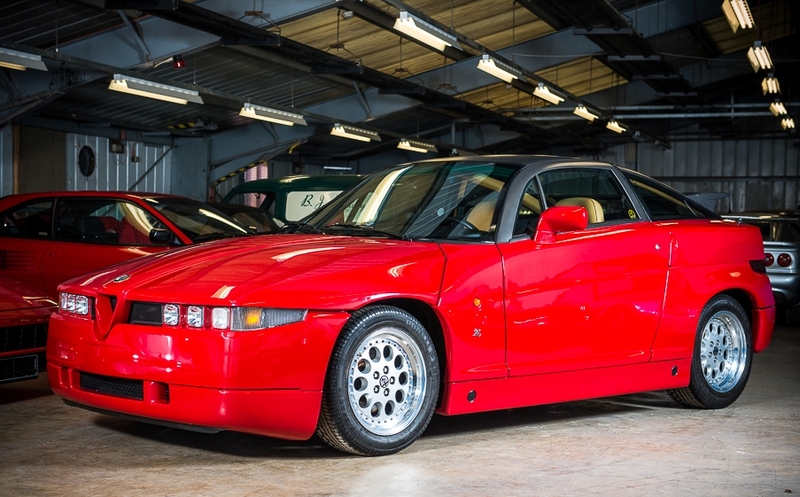 SILVERSTONE Auctions is set to offer a very special collection of 1990s Italian sports cars in its Race Retro Sale on February 21 and 22, including a super-rare Alfa Romeo. Each of the three cars has been tucked away as part of a large private collection owned by arguably one of Europe’s most fastidious collectors of classic cars. One of the maddest cars of the 90s, a 1991 Alfa Romeo SZ that has travelled an incredible 502 miles, is also offered. The car, estimated at between £50,000 and £70,000, has been in the same ownership since new. A rare car, only 998 SZs were produced in a two-year period with only 100 officially imported into the UK. Another highlight of the collection is one of the finest Ferrari Testarossas available on the market. The 1991 ‘best of breed’ car, estimated at between £130,000 and £150,000, has covered just 955 miles from new and is in immaculate condition. It even comes with the original luggage and Cartier watch that was included with the sale of the cars. Another Ferrari, a 1991 Mondial T, estimated at between £50,000 and £70,000, has covered just 1,180 miles in 24 years. With one owner from new, the car is offered for sale for the first time in its life. The cars will be offered in the two-day sale which takes place at Race Retro at Stoneleigh Park, Warwickshire.